"To have shared the operatic stage with Jussi Björling will ever remain the most precious and memorable of my musical experience. The smooth flow of his velvety voice, applied to a complete command of his roles, was so captivating that even while onstage with him I found myself listening intently to his glorious tones, adding myself to his enraptured audience. Indeed, it was with effort that I had to suppress my urge to join in the applause." “One of the greatest singers of the twentieth century, [Björling’s] career is well documented in his legacy of recordings and in music literature….His voice serves as a model for singers all over the world." 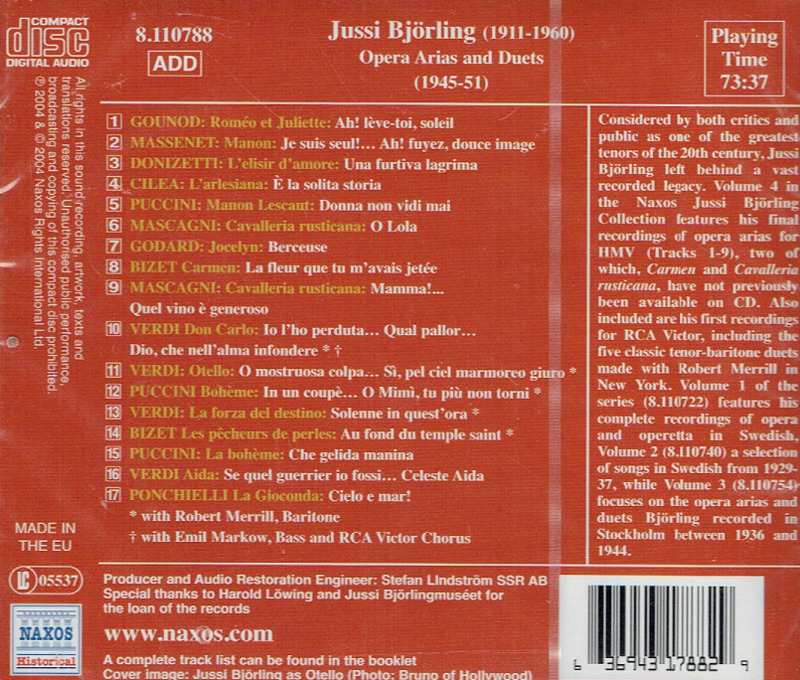 “Jussi Björling was one of the most admired tenors of the twentieth century. He was never an effective actor on stage nor was he particularly handsome, but his excellent technique, scrupulous musicianship, and beautiful voice, with its powerful and focused top, made him one of the most-demanded stars of his day. Those with a fondness for such comparisons consistently called him ‘the second Caruso’ or ‘the Swedish Caruso’. Some found his rather smooth timbre inexpressive, particularly those used to Gigli's frequent use of sobs and other extra-musical effects, but others found that its directness, combined with his sensitivity to phrasing, made the music all the more expressive. At times he did have a tendency to sing slightly sharp, but to listeners without an acute sense of pitch it was almost undetectable. 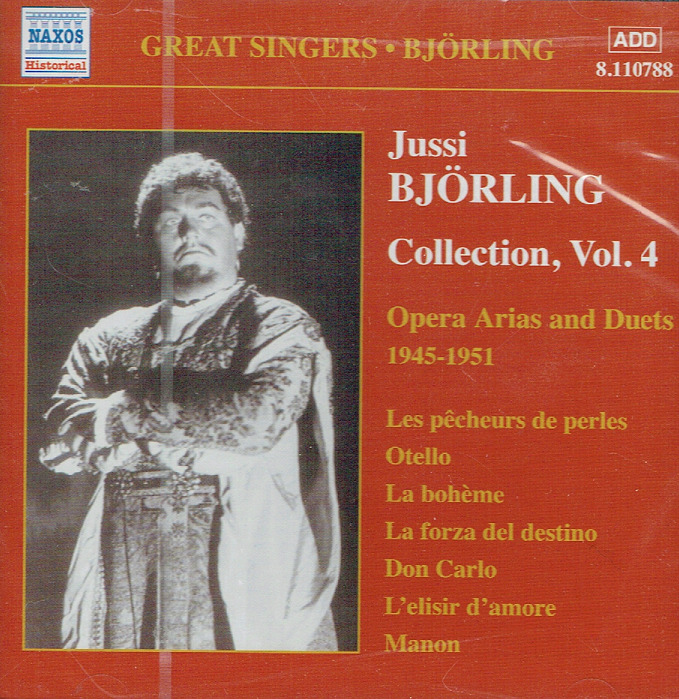 Björling came from a musical family and began his career early - his singing début came at the age of five. His father, David, was a fine singer who formed the Björling Male Quartet with the older three boys, Olle, Jussi, and Gosta. They performed world-wide, made some recordings for American Columbia (including Jussi's first solo recordings), and settled in the United States in 1920. While they were wildly popular, they had financial problems, and when David Björling died in 1926, the quartet broke up. In 1928, Jussi succeeded in getting an audition with Karl-Martin Oehmann. Oehrmann was so impressed that he recommended Björling to the Royal Opera in Stockholm, where he was given a stipend for room, board, studies at the conservatory, and a new suit. Two years later, Björling made his operatic début as the Lamplighter in Puccini's MANON LESCAUT and took on his first leading rôle a month later as Don Ottavio in DON GIOVANNI. In 1933, he first sang the role of Roméo in Gounod's ROMÉO ET JULIETTE, a rôle with which he would later become strongly associated. He met Anna-Lisa Berg, a lyric soprano, while at the Swedish Music Academy and Royal Opera school, and their marriage lasted until his death, despite the alcoholism that troubled his entire adult life. He made his Vienna début in 1936, his United States début in a Carnegie Hall concert in 1937 (his United States operatic début was a short time later that same year, as the Duke of Mantua, in Chicago), and his Salzburg début as Don Ottavio in DON GIOVANNI. In 1936, he also began a long recording association with HMV. He made his Met début in 1938 in LA BOHÈME and in 1939 his Covent Garden début as Manrico. Like those of most other opera singers, his international career was limited by World War II, but when the war was over, he again sang all over the world. In 1950, he took the title rôle in the famous Met production of Verdi's DON CARLO that inaugurated Rudolf Bing's administration. 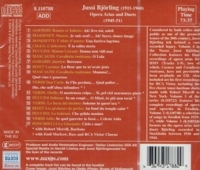 As his career expanded and he was able to be more selective about his stage rôles, he began to limit his repertoire to the major Italian and French lyric rôles, with a few forays into the lyrico-spinto repertoire. However, he recorded and performed in concert excerpts from many rôles he had never explored on stage, as well as lieder and his beloved Swedish songs.